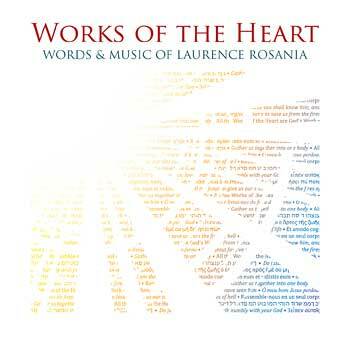 Lift hearts and voices in praise with seven liturgical songs from Laurence Rosania. Beauty can transform the human spirit, providing a direct pathway to the divine beauty itself. Offering six fresh compositions by Laurence Rosania and a bilingual version of "Supper of the Lord," Works of the Heart weds profound texts to music that is memorable, moving and, most significantly, beautiful. With styles ranging from solemn a cappella motets to works influenced by Duke Ellington's sacred concerts at Grace Cathedral, this collection will engage musicians, choirs and members of the assembly. Enjoy flexible arrangements to fit the needs of your ensemble, whether you have a single organist or additional instrumentalists for violin, cello, flute and saxophone. Hear a new bilingual version of "Supper of the Lord"
"The Call of Micah" expressively echoes the ancient Hebrew text of the prophet. Jaime Cortez's highly anticipated Spanish translation and Luke Mayernik's exquisite arrangement breathe new life into "Supper of the Lord/Cena del Señor." The title track juxtaposes simple, heartfelt text with the rich and sophisticated musical palette of jazz. Containing FREE lyric sheets, links to octavos and single instrument parts for purchase, as well as links to LicenSingOnline.org for downloadable assembly editions and music reprint permissions for worship aids, this enhanced CD gives you everything you need to share these songs with your community. This is the MP3 playlist for the enhanced CD Works of the Heart. "The Call of Micah" expressively echoes the ancient Hebrew text of the prophet. Jaime Cortez's highly anticipated Spanish translation and Luke Mayernik's exquisite arrangement breathe new life into "Supper of the Lord/Cena del Se±or." The title track juxtaposes simple, heartfelt text with the rich and sophisticated musical palette of jazz. Beauty can transform the human spirit, providing a direct pathway to divine beauty itself. Offering six fresh compositions by Laurence Rosania and a bilingual version of "Supper of the Lord," Works of the Heart weds profound texts to music that is memorable, moving and, most significantly, beautiful. Containing FREE lyric sheets, links to octavos and single instrument parts for purchase as well as links to LicenSingOnline.org for downloadable assembly editions and music reprint permissions for worship aids, this enhanced CD gives you everything you need to share these songs with your community.